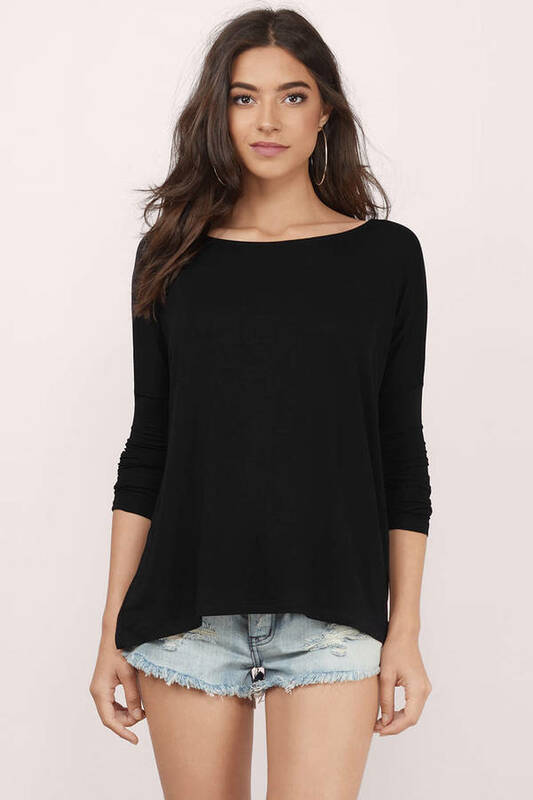 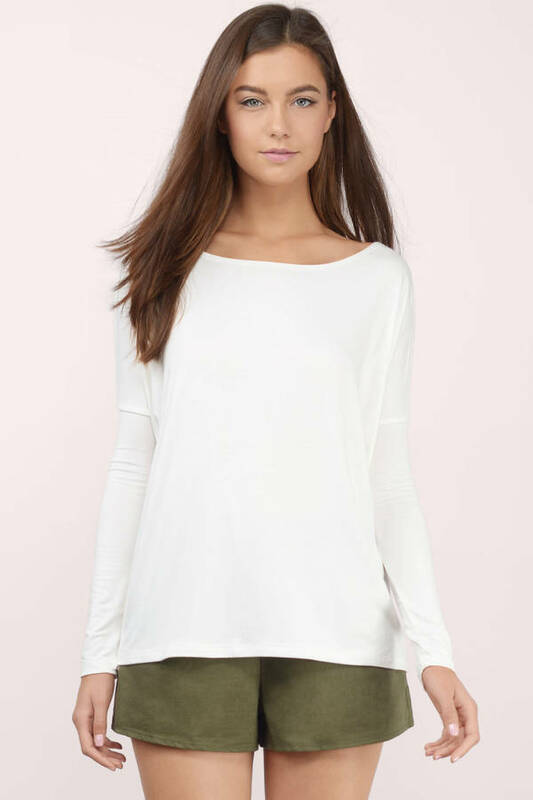 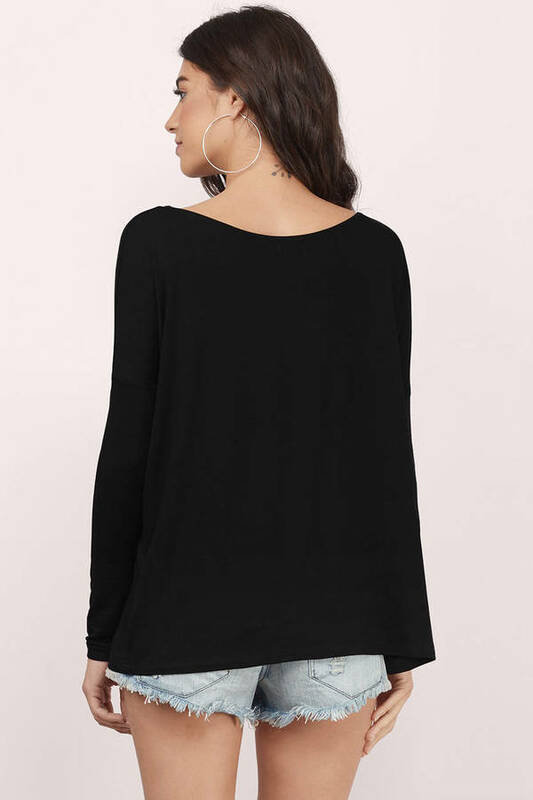 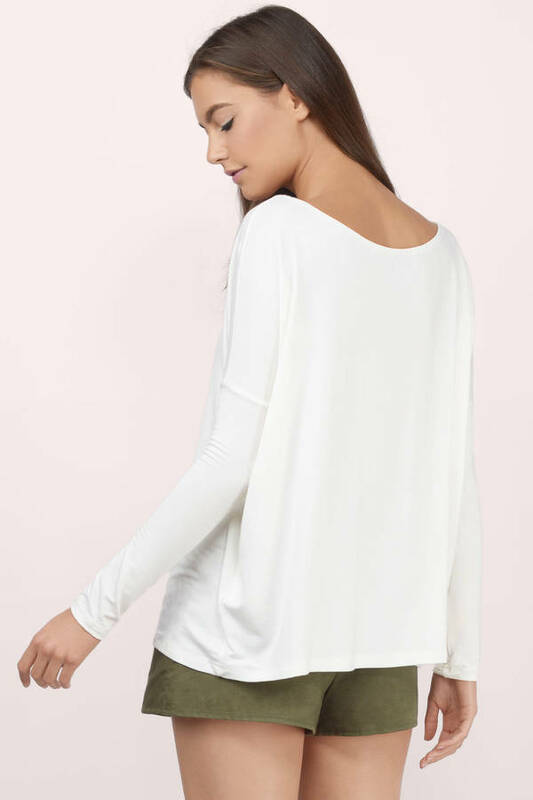 Check out Tobi's My Go To Top Basic long sleeve top that's an essential in anyone's wardrobe! 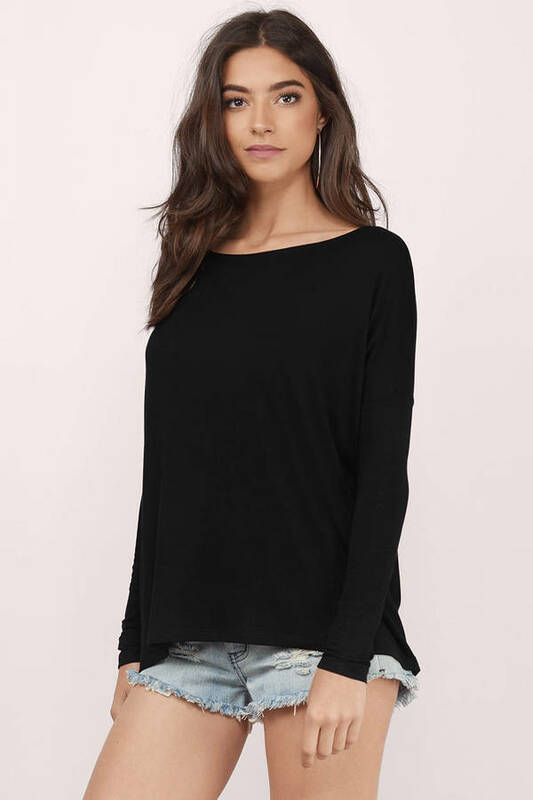 It has a boat neck neckline and fits loosely, making it extra comfortable for those lazy days. 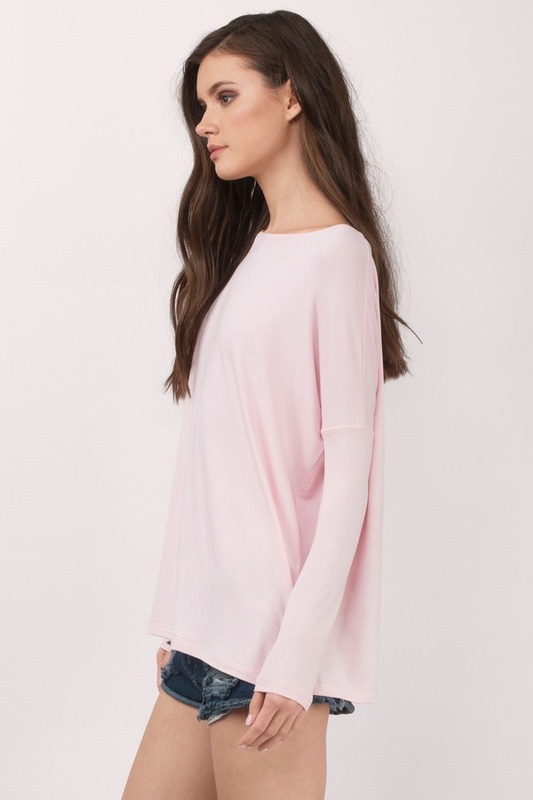 Available in many colors: black, blush, ivory, lavender, mint.